The contributors in this study examine the historical Harlem community during its renaissance period as well as its present-day community. A cursory investigation of the existent that focus on the Harlem community during its renaissance of the early twentieth century reveals that the compilations are primarily ones that present the subjects' life stories through the lens of praise songs. 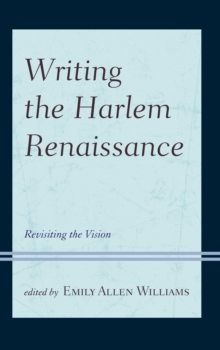 This book, however, presents the Harlem community through a lens that reveals more grounded and researched analyses that bring the influences and contributions of the Harlem Renaissance to a level of relevance in the twenty-first century from one or more critical vantage points. This study aims to move beyond the more obvious and foregrounded artistic contributions towards analyses of the Harlem Renaissance alongside analyses of a twenty-first century Harlem community and its present day contributions.